King Tut – a third of the way there! 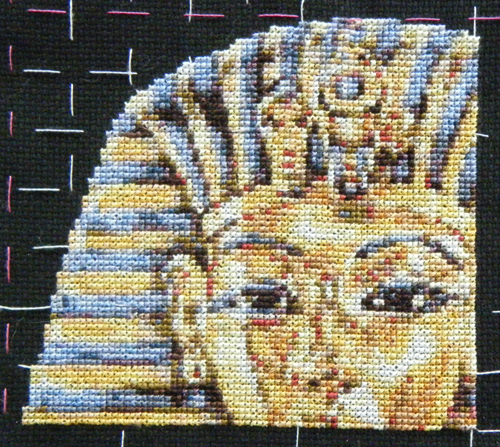 The stitching is still flowing and I’m officially a third of the way there with King Tut! I’m still off work, needing to some housework, which I’m trying to limit to mornings only… but still getting lots of relaxing stitching done. And to prove it – here is King Tut – well a third of him at least. King Tut 1/3rd completed, just another 4 pages of charts to go! The complete chart is printed over 6 pages, so 2 down, 4 to go. I still have a few days holiday left so am really going to push on, maybe he can be half done by the time I go back to work – something to aim for! Enjoy your stitching, hope it’s progressing as you would like. 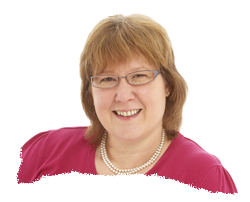 Thank you – wait till you see the next picture, am hoping it will be a bit of a wow moment! Beautiful! Can’t wait to see it when it’s complete. Thanks, I’m really pleased with it and considering there are no metallic threads in there is has a lovely “glow” to it.